Being the foremost company, we are offering an exclusive array of Chocolate Box. Our offered array is famous for its attractive functions. 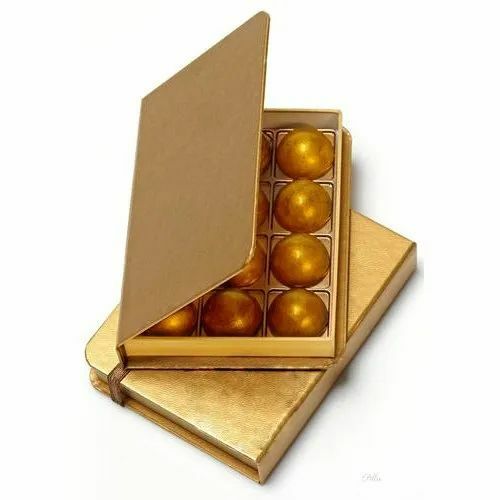 Being a quality cognizant firm, we are betrothed into offering Chocolate Box that is elegantly designed and are perfect in terms of strength and durability. The thoughtfully designed boxes are crafted with use of industry grade components ensuring long lasting and reliable use. These are also available for customization that requires specific design as per the application use. The Brand Collaterals is a Full-Service Strategic Brand Consulting & Design Firm, providing customized Brand Solutions for a diverse spectrum of industries Worldwide. It is here, where the Confluence of Strategy and Design creates Magic for your Brand. Our Brand Consulting Services encompass both Digital & Traditional Solutions creating a holistic package to take your Brand where it deserves to be. Our expertise comes from our experience in Brand Management, Creative Advertising & Digital Marketing which enable us to conceive disruptive Brand Marketing Strategies creating long lasting Brand Experiences. Our experience with Brands across diverse industries gives us cross functional insights enabling our Strategic & Creative Process to deliver Brand Solutions that are not only unique but effective in terms of ROI. These Brand Solutions are enabled through our Creative Advertising & Digital Marketing Verticals which channel out of our core Brand Consulting Think Tank. Driven by passion and motivated by our philosophy of MELIORA, we are committed to make sure that your success story is crafted both consistently and in style.